Sociologists of inequality study the distribution of income, wealth, education, health and longevity, autonomy, status, prestige, political power, or other desired social goods, often (though not exclusively) across groups defined by social classes and occupations, race, gender, immigrant status, age, or sexual orientation. The focus of their research is on describing patterns of inequality; understanding its political, social, and economic consequences; and understanding how the various dimensions of inequality interact with each other, change over time, vary across geopolitical space, persist across generations, and are affected by families, schools, neighborhoods, prisons, employers, cities and communities, local and national labor markets, unions and other labor market institutions, and taxation and redistribution policies. 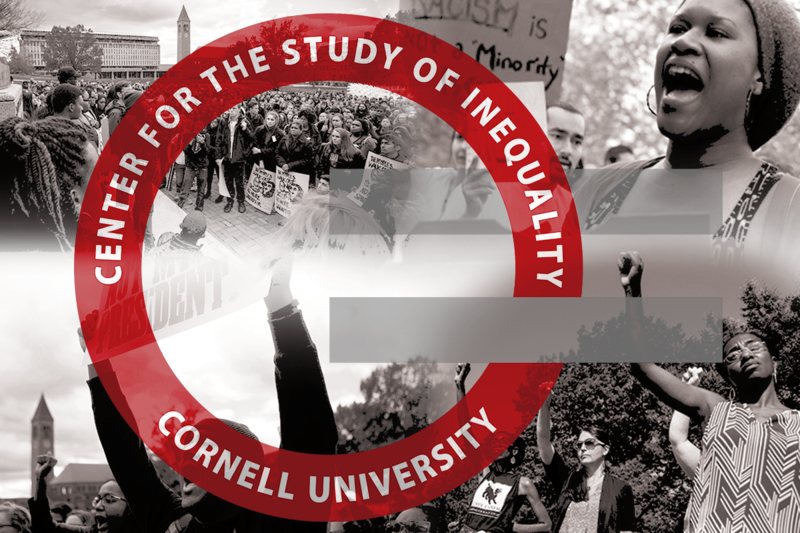 The intellectual hub for inequality scholarship in sociology and in cognate social science fields is the Center for the Study of Inequality, which was founded in Sociology in 1999. Inequality scholars also work closely with the Cornell Population Center and the Bronfenbrenner Center for Translational Research.